Microsoft says to the Blender project: "The ISO standard Office Open XML is an example of the direction we are moving towards"
With respect to Blender, what can you tell me about your community/user feedback that you have heard regarding file formats? Specifically, Microsoft is slowly shifting toward a more open standards based approach to its file formats. The ISO standard Office Open XML is an example of the direction we are moving towards. 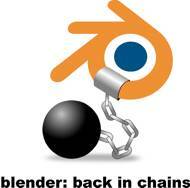 A good user experience of Blender on Windows is good for your project/community and good for Microsoft. What we are trying to understand is what file formats, which are not open or not fully open, are impeding the optimal experience with your community. If this is an important issue to your users then it also accrues to the experience in Windows. I would like to know what feedback you might have received regarding the files your users most often import and those they might be having a sub-optimal experience with. Please also include in that list any Microsoft files that you might have trouble with.